You know those stickers that can be found on most fruits and veggies in grocery stores worldwide? If you’ve ever bought produce from a grocery chain, you’ll recognize the ones we’re talking about. I’m sure for some of us who used to or currently work in a grocery store, those stickers are burned into our minds (I am one of those people). They usually have a a bar code on them for scanning and a PLU code, which helps your friendly neighborhood cashier identify what type of produce you’re buying. But these unassuming stickers are more telling than you’d think. While the PLU is the “price lookup” number and identifies the fruit or veggie, it also helps to identify something else: how the produce was grown. By correctly reading this code, you can tell if the fruit was genetically modified, organically grown or produced with chemical fertilizers, fungicides, or herbicides. The story behind where your fruits and vegetables actually came from has been right under your nose all along! You just have to know how to analyze the labels and the PLU number. It’s actually a lot easier than you’d imagine. 1. If there are only four numbers in the PLU, this means that the produce was grown conventionally or “traditionally” with the use of pesticides. The last four letters (or only four, in this case) of the PLU code are simply what kind of vegetable or fruit you’re buying. 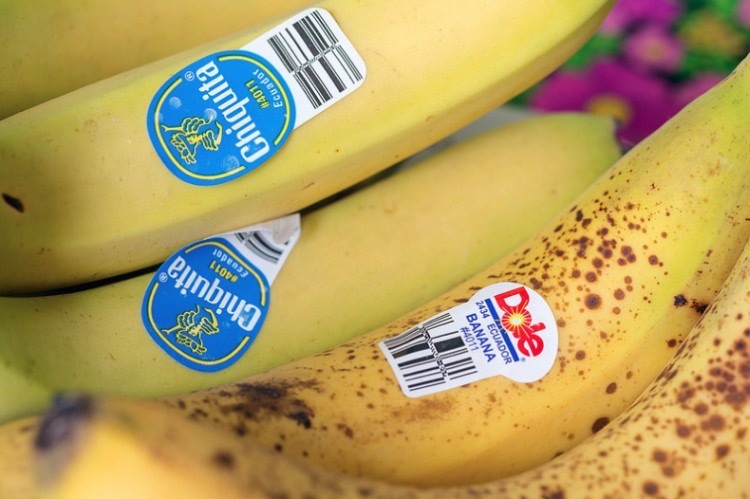 An example is that all bananas are labeled with the code of 4011. 2.If there are five numbers in the PLU code, and the number starts with “8”, this tells you that the item is a genetically modified fruit or vegetable. Genetically modified fruits and vegetables have been tampered with in an unnatural way; essentially, produce that has been genetically modified was created in a lab or over decades of artificial selection, and cannot be found in nature. A genetically engineered (GE or GMO) banana would be: 84011.